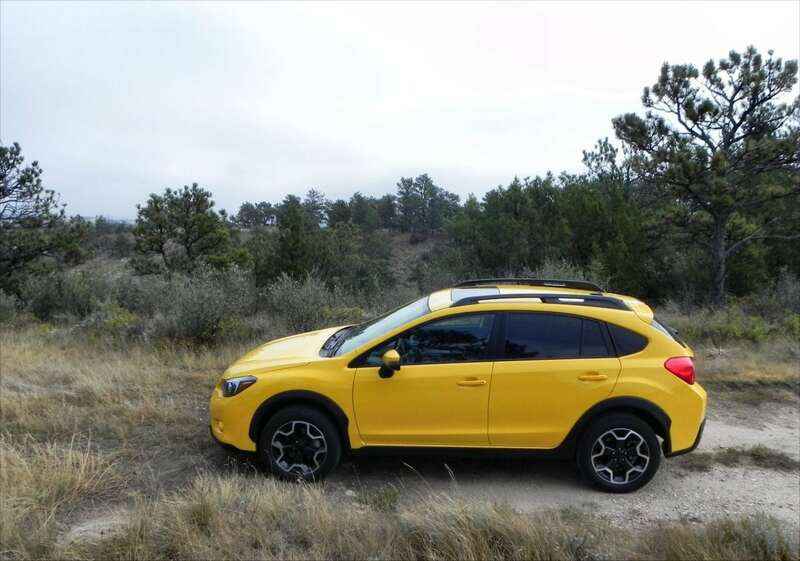 The Subaru XV Crosstrek is a strong contender in the fast-growing compact crossover class. 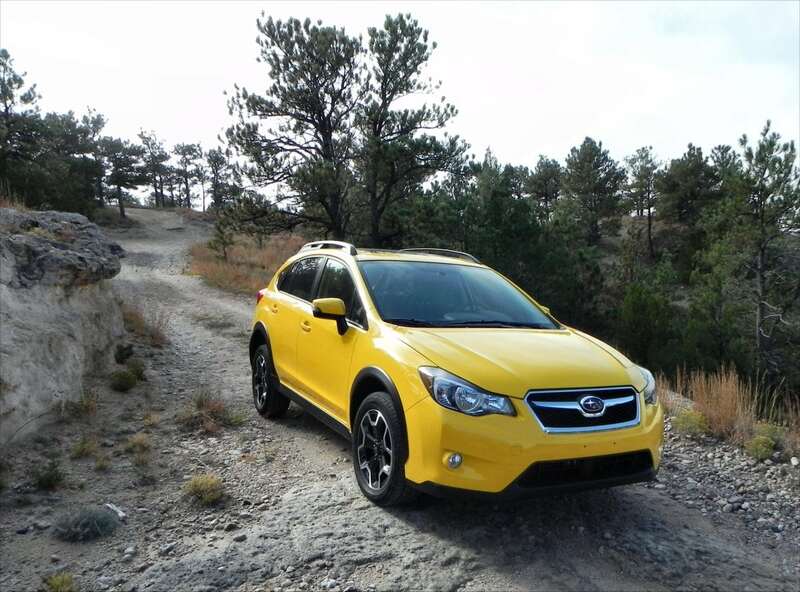 It’s a solid choice for those who need a crossover-style car with all-weather capability and occasional off-pavement potential. The compact crossover class is growing up to become one of the most popular vehicle classes in the market. The Subaru XV Crosstrek enters in at the lower end of the price spectrum while offering all of the things that buyers in this segment are looking for. Yet that lower price point comes with a tradeoff and the hybrid option does nothing to improve that opinion. 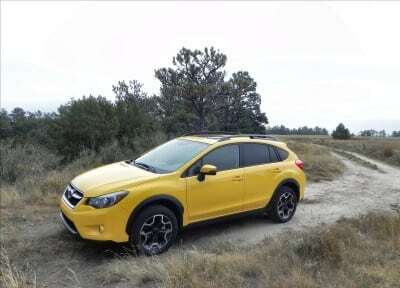 The 2015 Subaru XV Crosstrek is a five-passenger hatchback-style crossover. There are five trim levels for this small crossover, all with standard all-wheel drive. The 2015 Subaru XV Crosstrek comes standard with most of the basic equipment expected in today’s cars. The base 6.2-inch touchscreen is still a bit unusual for a base model vehicle in this class, as is the rearview camera. Basic smartphone connectivity and a four-speaker audio system are other standard inclusions in the base model. 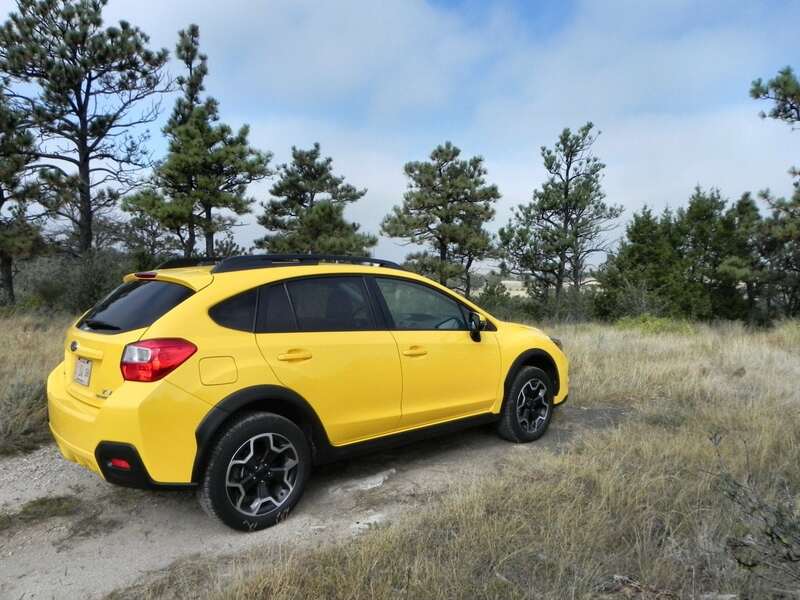 Our mid-level model was the Crosstrek Premium with the addition of a driver’s convenience package and the continuously variable transmission. The interior of the Subaru XV Crosstrek, as with most Subaru vehicles below the Legacy and Outback, is a relatively barren experience. Subaru aims for simplicity and the lack of wow factor within the Crosstrek speaks to that. Materials are all of quality, though, and seating is comfortable and accommodating. Driver’s controls are well-placed and the cabin’s design towards versatility is welcome. 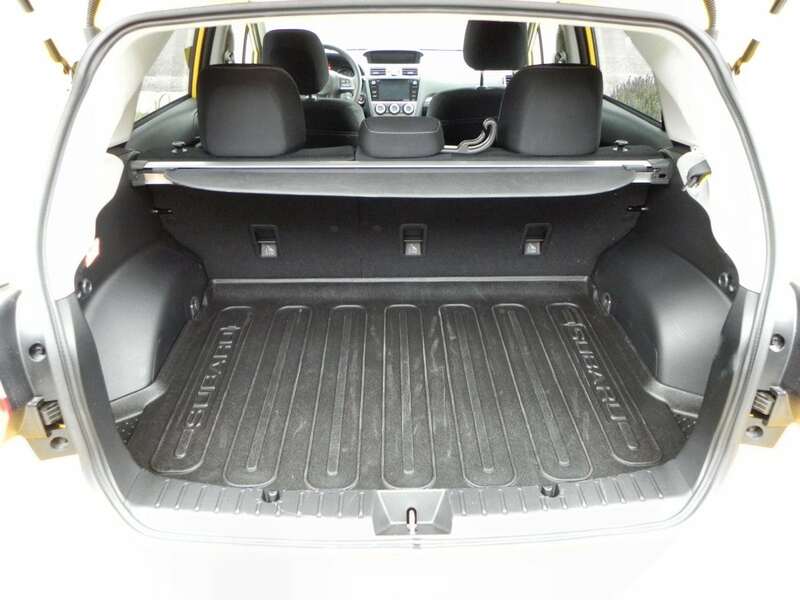 The cargo area is especially well done in the Crosstrek, with a flat load floor and a tall-opening, relatively square hatch for access. 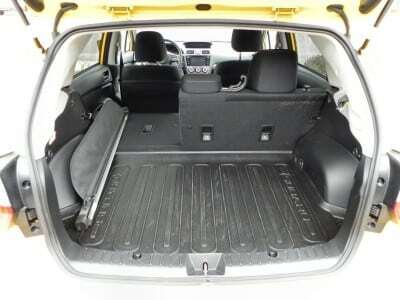 Space is about 22.3 cubic feet, which is about middle of the road for the compact crossover segment. Standard roof rails and the rear seats folding to add another 51.9 cubes are marks of the 2015 Crosstrek’s versatility. On the road, the interior noise level in the 2015 Subaru XV Crosstrek is relatively loud by today’s standards, even for an entry-level crossover. Ride quality is good, if a bit rough, but this is the trade for having the offroad capability that the Crosstrek totes. Powering the 2015 Subaru XV Crosstrek is a 2.0-liter four-cylinder engine in Subaru’s famous horizontally-opposed boxer-style configuration. This engine appears throughout the Sub lineup and is a well-proven motivator. 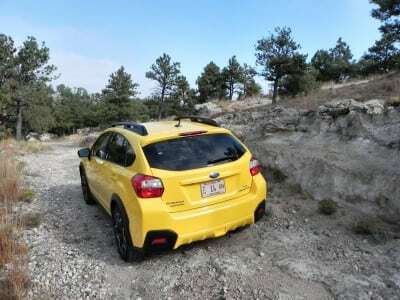 In the Crosstrek, however, it is a bit sluggish for the segment, offering little acceleration and a fair amount of noise. A five-speed manual transmission is standard and goes a long way towards improving the engine’s performance by giving the driver more control over RPM rates. The upgraded transmission is a continuously variable (CVT) now ubiquitous in the Subaru lineup. This CVT is a bit loud at freeway speeds, but not intrusively so. It does seem to struggle with acceleration, especially up hills at highway speeds. 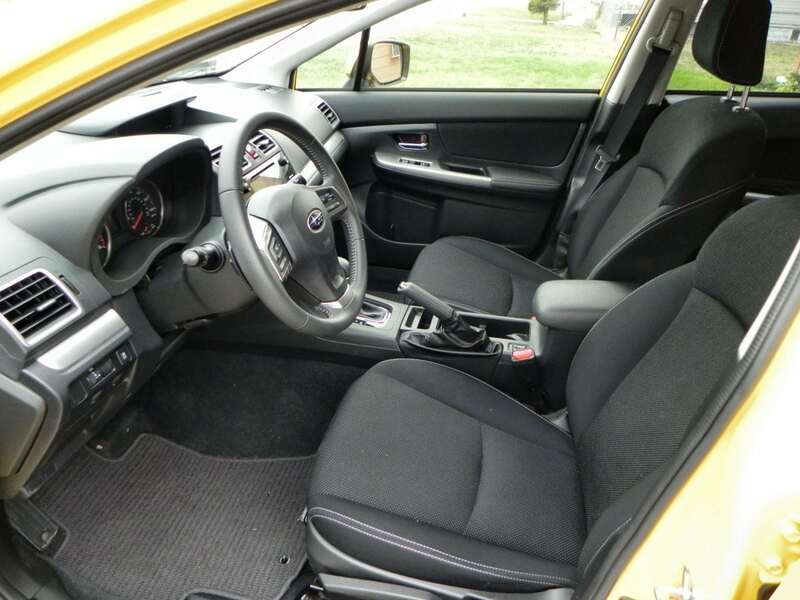 The EPA rates the 2015 Crosstrek at 29 mpg combined (26 in the city, 34 on the highway) with the CVT and 26 mpg combined for the manual transmission. In the real world, we saw close to those numbers with the CVT. The Hybrid option, which we reviewed last year, uses the same engine and CVT, adding an electric motor and battery pack. This improves MPG by a couple of points to 31 mpg combined, per the EPA. 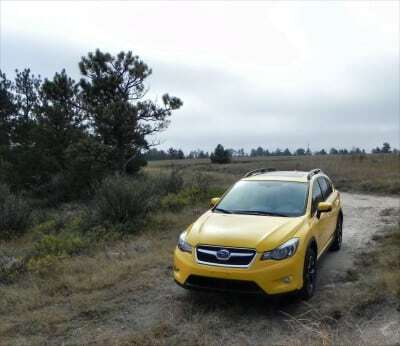 On the road, the 2015 Crosstrek is a confident drive. It is not fast, peppy, or even fun, per se, but it is sure-footed and well mannered, for the most part. 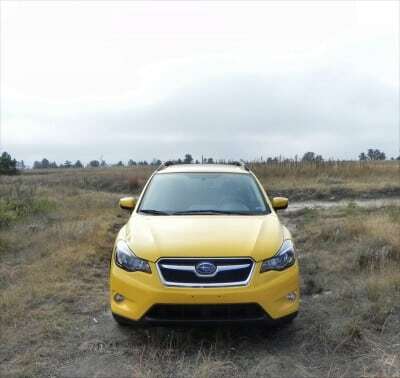 The suspension can be a bit rough on questionable roads, but the legendary Subaru AWD ensures you’ll get through. 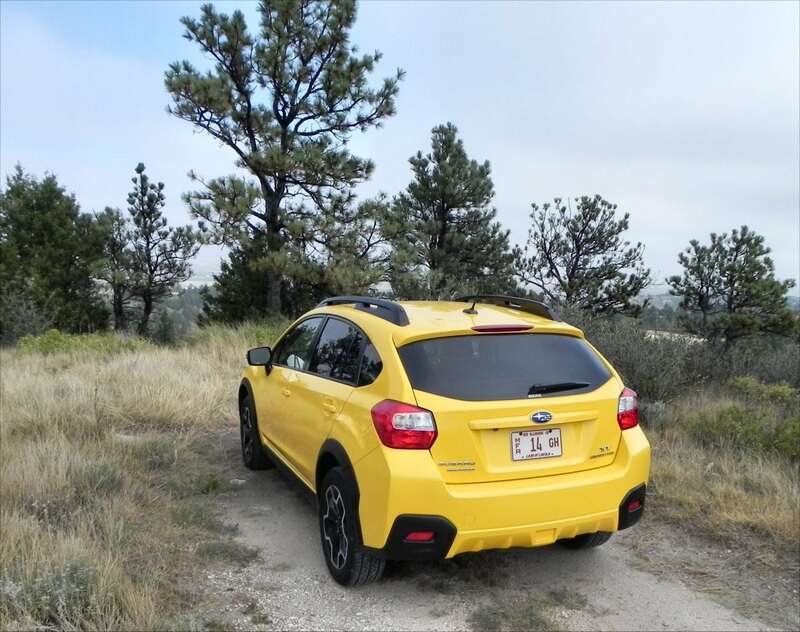 Off the road, the Crosstrek is very good at getting there, provided where you want to go allows the 8 inches of ground clearance to pass through. 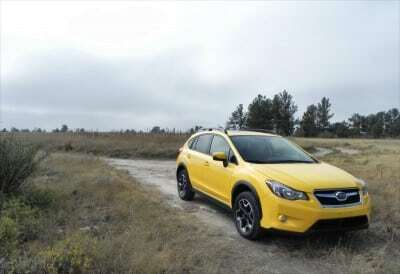 Few normal offroading situations are beyond the Crosstrek’s capabilities, making it a great weekend getaway machine. In all, the drive is not spectacular and the fun factor is minimal in the 2015 XV Crosstrek, but the versatility and capability it offers in all situations are second to none. Base level includes 17-inch alloy wheels, roof rails, cruise control, 60/40 split-fold rear seats, Bluetooth connectivity, rearview camera, 6.2-inch touchscreen, basic smartphone integration, and four-speaker audio. Premium adds heated mirrors and front seats, cargo cover, removable cargo tray, and six-speaker audio. Limited adds automatic headlights, better instrumentation, automatic climate control, leather seating, 7.0-inch touchscreen with added infotainment options. 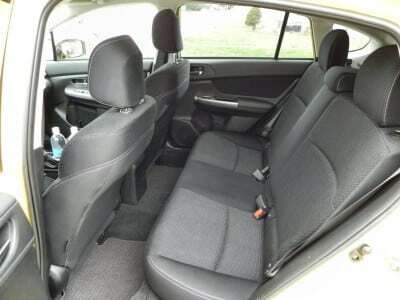 Hybrid is identical to the Limited, but without leather. Other options are added. Hybrid Touring adds leather, a sunroof, and navigation. 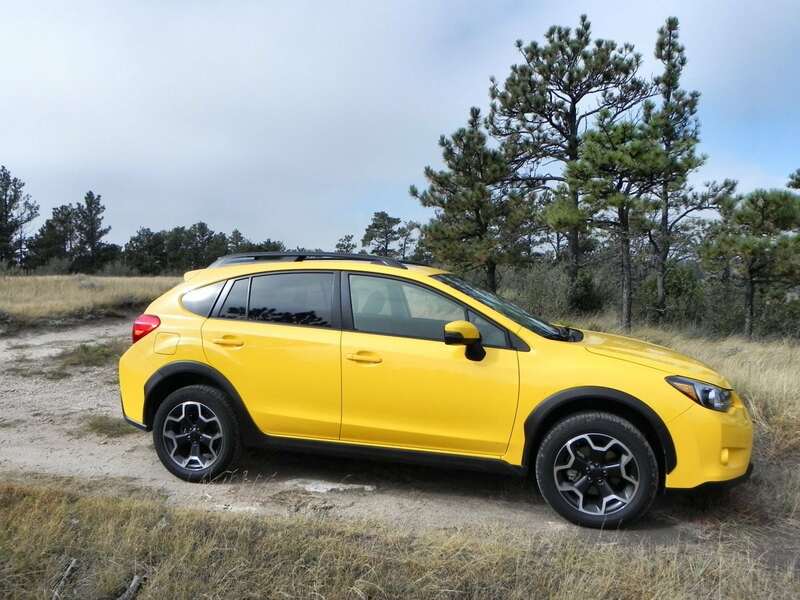 The competitors lining up in the ever-growing compact crossover segment are often some of the best choices a manufacturer has for sport utility options on the whole. The Ford Edge, for example, is sportier and a bit pricier than the Crosstrek, but offers a lot more for the money. 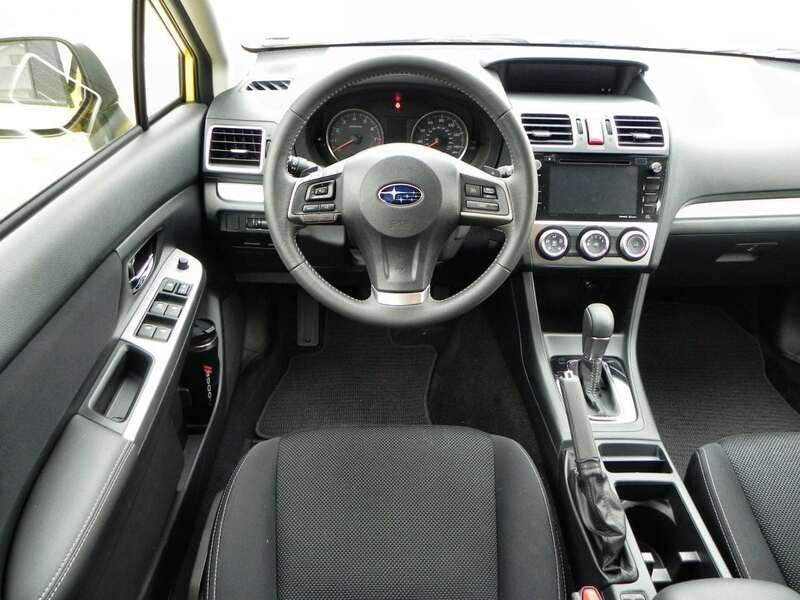 Subaru’s own Impreza wagon is another solid choice here, being almost an identical option in terms of value, though with a bit less off-pavement capability. The Mazda CX-3 is an excellent vehicle on all fronts. The Nissan Juke, with its polarizing exterior looks, is smaller than most of the others in this segment, but offers a lot of fun factor. Other great choices include the Chevrolet Trax, Hyundai Santa Fe Sport, and the all-new Jeep Renegade. 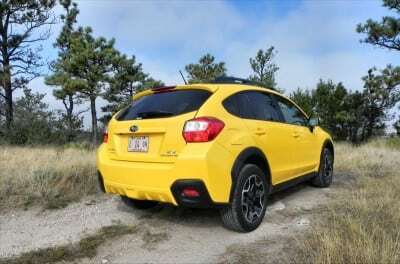 Shoppers looking at the 2015 Subaru XV Crosstrek will be attracted to its rough and tumble looks and low price point. 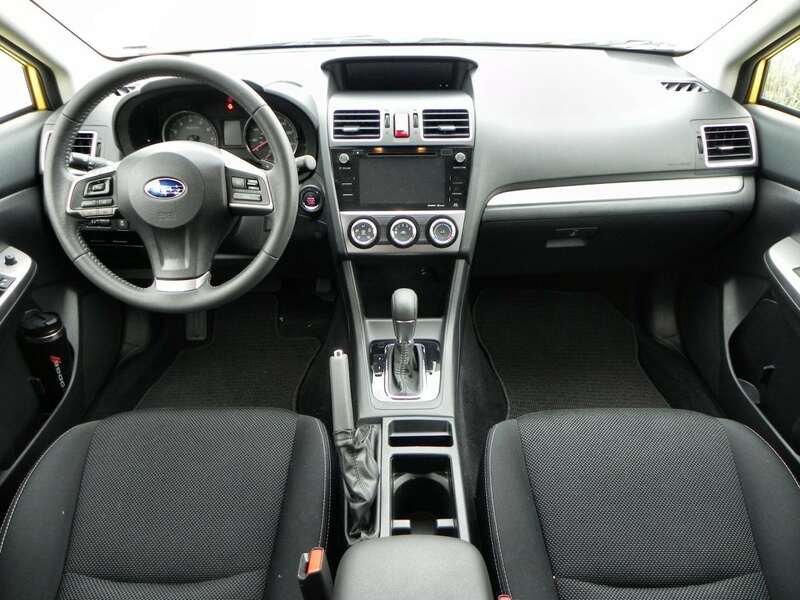 They should cross-shop within the Subaru lineup, however, as both the Impreza and Forester are excellent value options and the Forester, in particular, is a more family-friendly option. Drive is boring and uninspired. Interior is plain and ride is loud. 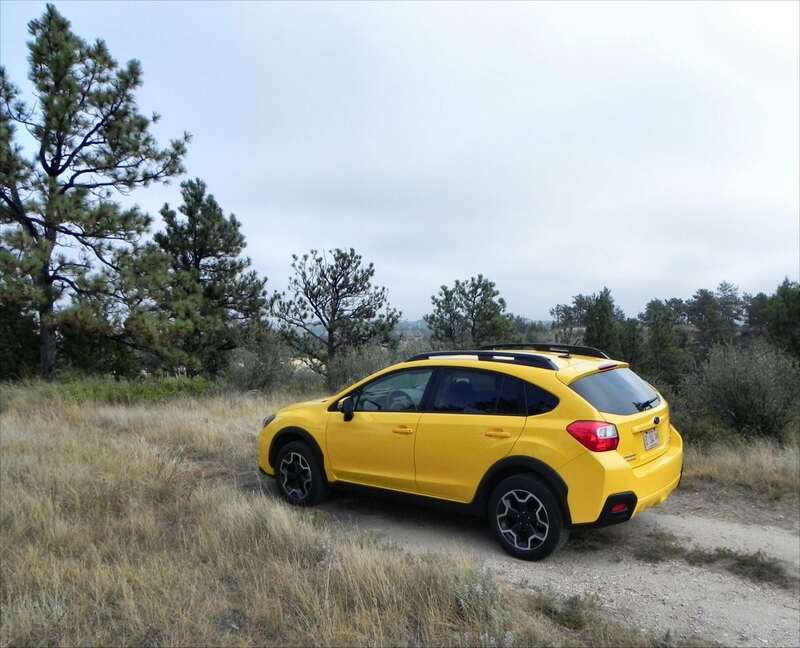 In a market full of great choices, going with the 2015 Subaru XV Crosstrek is not a no-brainer, but it’s not a bad option either. If you plan to drive primarily on the road and to carry the family around with you, then other choices might be better. 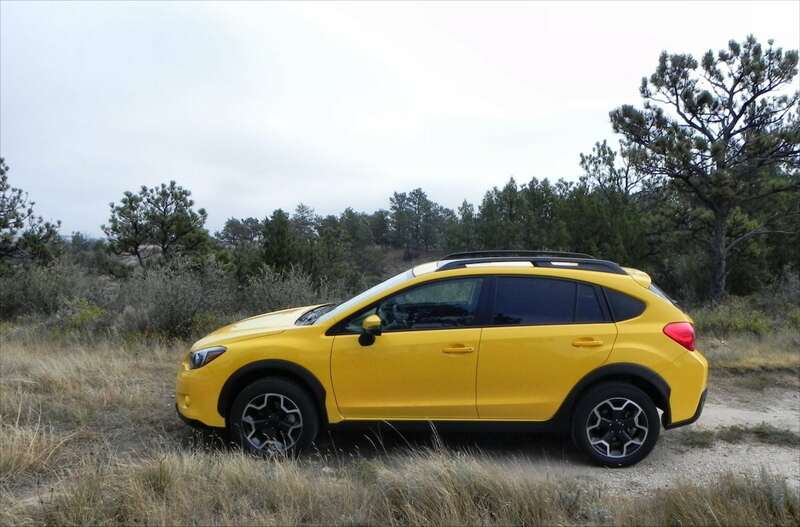 If you need more traction capability than the norm and want a great mix of versatility and value, then the Crosstrek is probably for you. The Crosstrek was a manufacturer’s press loan for about a week. During that time, 227 miles were put on the car in a mixture of in-town, highway, freeway, and light offroad driving.